WASHINGTON - Senate Democrats said Thursday they will file a federal lawsuit next month if government agencies deny their requests for documents from Supreme Court nominee Brett Kavanaugh’s days as an aide to President George W. Bush. The threat represents Democrats’ latest attempt to focus the public — and perhaps more importantly, senators — on potential game-changers they hope are hidden in millions of unreleased pages from Kavanaugh’s White House days. So far, Republican leaders have said they expect Senate approval of Kavanaugh by the Oct. 1 start of the court’s new term. Democrats’ effort to head that off has so far seemed uphill. The GOP has a slender 50-49 Senate majority, due to ailing GOP Arizona Sen. John McCain’s absence. 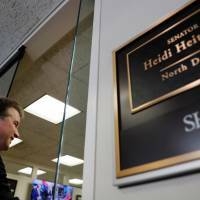 The votes of two Republican and at least six Democratic senators remain unclear, with a simple majority required for Kavanaugh’s approval. “We don’t know if there’s some sort of revelatory bombshell,” said Sen. Richard Blumenthal, D-Conn.
Kavanaugh served under Bush from 2001 to 2006. Democrats hope to find documents that would reveal his views on high-profile issues, including the torture of terrorism suspects and abortion rights. Blumenthal said Democratic senators who would file the suit, all of them members of the Judiciary Committee, would pay its costs from “our own pockets” and not use taxpayer money. He said they are also allowed to use campaign funds for this expense. Republicans have allowed the release of well over 100,000 pages of Kavanaugh’s papers, including papers from his time as a White House counsel to Bush, his later work as an appellate judge and his earlier time as aide to special counsel Kenneth Starr, who investigated President Bill Clinton. More are on track to be released. 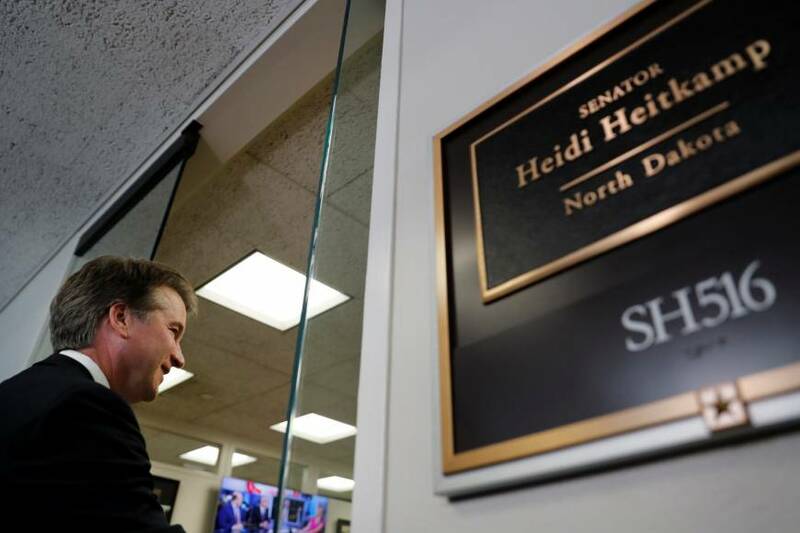 Democrats want the release of all Kavanaugh documents, including his three years as White House staff secretary, which Republicans have refused to request from the National Archives. The Archives says those alone could total several million pages. Democrats have complained that most of the released documents have come from Bush’s lawyer, Bill Burck, who is vetting them, rather than the traditional process conducted by the National Archives. They say Burck could well be withholding potentially embarrassing items. Democrats filed Freedom of Information Act requests last week with four federal agencies requesting the papers. They say they’ll file their lawsuit if those documents aren’t provided within the legal deadline of 20 days. Grassley has scheduled four days of confirmation hearings beginning Sept. 4.